WASHINGTON (Reuters) - George Zimmerman will not face civil rights charges in the death of Trayvon Martin, the U.S. Justice Department said on Tuesday, ending its probe three years after the Florida neighborhood watch volunteer fatally shot the unarmed black teenager. The department said it had not found sufficient evidence that Zimmerman, who was acquitted of murder in state court, intentionally violated the civil rights of Martin, 17. The decision comes as the Obama administration faces pressure from civil rights activists to press charges in other high-profile deaths that have raised allegations of racial bias. The Justice Department is investigating a white police officer in Ferguson, Missouri, who shot and killed unarmed black teenager Michael Brown, and the New York City police officer involved in the chokehold death of Eric Garner, another unarmed black man. Grand juries declined to bring charges in both cases. Despite national protests over the deaths, federal prosecutors face a high bar, required to prove the suspect knowingly violated the victim's civil rights. Criminal murder or manslaughter charges are often left to states under U.S. law. To convict a police officer, federal investigators have to show intentional use of excessive force. In the case of Zimmerman, a private citizen, they would have had to prove that he committed a hate crime, meaning he was racially motivated to kill Martin. U.S. Attorney General Eric Holder said the circumstances of the Zimmerman case did not meet the "high standard" for a federal hate crime prosecution. But Holder added in a statement: "This young man’s premature death necessitates that we continue the dialogue and be unafraid of confronting the issues and tensions his passing brought to the surface." Martin's family said in a statement it was disappointed, but thanked the Justice Department for its "extensive and thorough investigation into the killing of our son." The investigation by the Justice Department's Civil Rights Division was conducted independently of state efforts, and was put on pause during Zimmerman's criminal trial, officials said. 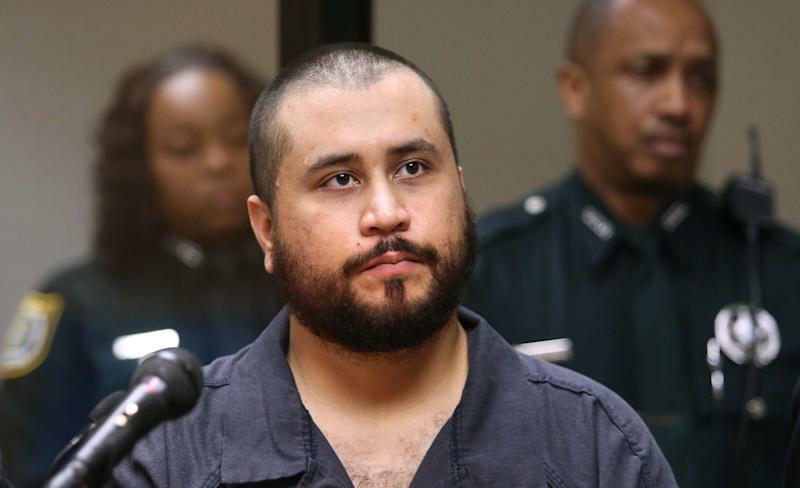 Zimmerman's attorney, Don West, said he hoped the decision would allow his client to "take the steps needed for a more normal life,” noting his name came up frequently in discussions about the killings of other unarmed black men. Zimmerman said he acted in self-defense when he fatally shot Martin in the chest during a confrontation in a neighborhood in Sanford, Florida, after following and stopping the teenager because he thought he was suspicious. In 2013, he was acquitted of second-degree murder and manslaughter. The federal investigation was then resumed, Justice Department officials said. Investigators said they reviewed all the evidence presented by state prosecutors and interviewed 75 witnesses. From the initial encounter through the shooting, the Justice Department said, it did not find evidence "beyond a reasonable doubt" that Zimmerman had confronted Martin on account of his race, knowingly defying the law. “Our decision not to pursue federal charges does not condone the shooting that resulted in the death of Trayvon Martin and is based solely on the high legal standard applicable to these cases,” Acting Assistant Attorney General Vanita Gupta of the Civil Rights Division said in a statement. That finding prompted Antonio French, a black alderman in St. Louis, who called for improving racial relations during the protests in nearby Ferguson, to post on Twitter: "Then we need a new law." The decision was no surprise to some in Sanford. "It's not even news to us," said Francis Oliver, a civil rights activist, standing beside a memorial she helped to build in honor of Martin and other young black men killed in street violence.